CdSe(S)/Fe2O3 core/shell quantum dots (QDs) were prepared in an aqueous synthetic route. These were shown to be highly crystalline nanoparticles using X-ray diffraction and HRTEM, whilst optical spectroscopy showed that the particles exhibited highly photoluminescent emissions. 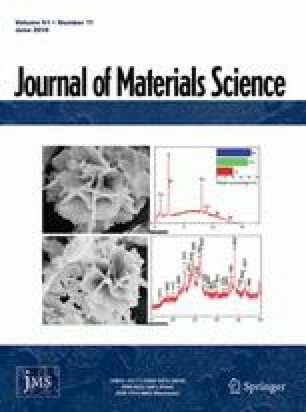 A red shift in the emission wavelength of CdSe(S) QDs coated with Fe2O3 was observed, despite the crystal structure of the core remaining intact after coating with ferric oxide, indicating a direct influence of the shell on the electronic levels of the QD core. The effects of the shell on the optical properties of core/shell QDs of these type-II CdSe(S)/Fe2O3 QDs are rationalised by comparison to type-I CdSe(S)/ZnO QDs. The online version of this article (doi: 10.1007/s10853-016-9828-4) contains supplementary material, which is available to authorised users. We would like to thank the School of Chemistry for the financial support, and the School of Physics and the Mark Wainwright Analytical Centre of University of New South Wales for facilities.